Percentage of Americans involved in Tea Party Movement: 11 (Support for Tea Party is also about 12%). 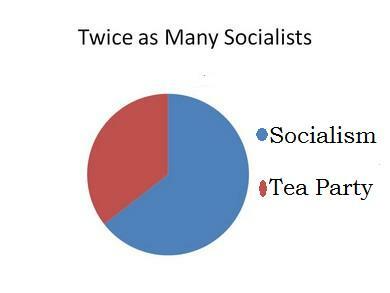 Only 9 percent of Tea Partiers are urban, whereas a majority of Americans are. 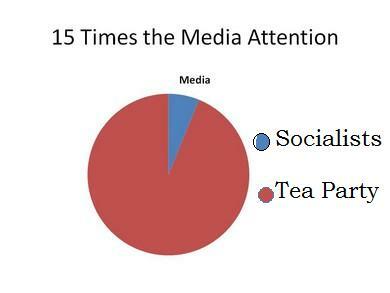 Tea partiers are half as big as proponents of socialism in the US body politic, but corporate media gives them 15 times more mention, and overwhelmingly more positive mention. Although nearly one of every two Americans is committed to a public option in the health care bill, the public option received only 1/4 as many mentions in US mass media in the past month as Tea Partiers, who are supported by 1 in 9 Americans. *Often corporate media transcripts show the tiny ‘Tea Party’ movement taken seriously, praised.